OTTAWA - Andrew Scheer is expected to promise today that a Conservative government would pursue a free trade deal with the United Kingdom. 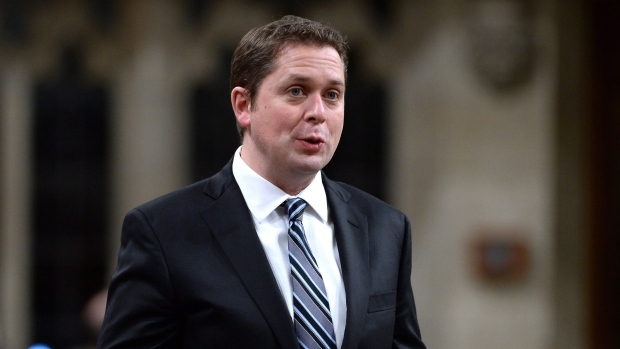 A pledge to negotiate a bilateral deal with the U.K. was part of Scheer's leadership campaign platform and he's expected to repeat that vow today in a speech to a gathering of conservatives. A Conservative source says Scheer -- who supported the 2016 campaign for Britain to leave the European Union -- will also pitch the idea of Canada-U.K. free trade on a trip there later this year. Foreign affairs and free trade are two of the many topics on the agenda at the annual Manning Networking Conference. 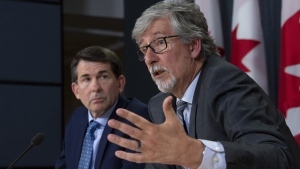 But the gathering is also being overshadowed by turmoil in the conservative movement in recent weeks, including the resignations of party leaders in Ontario and Nova Scotia and key party officials in the wake of allegations of sexual misconduct and inappropriate behaviour. Scheer's address will cap off the first day of the conference, which will also feature speeches by new Saskatchewan Premier Scott Moe and discussions on how the conservatives can grow their base of support.